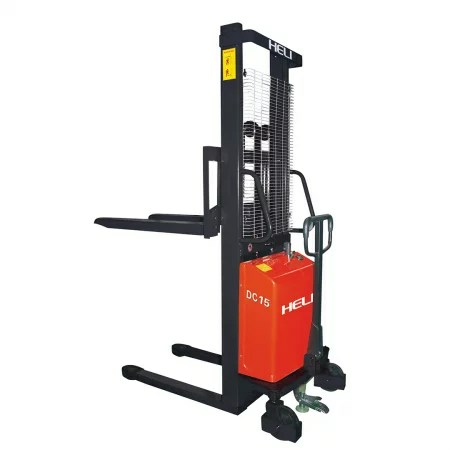 With its walking operator mode, this semi electric stacker can work for a long time while giving you all the benefits of easy handling, driver comfort and safety. 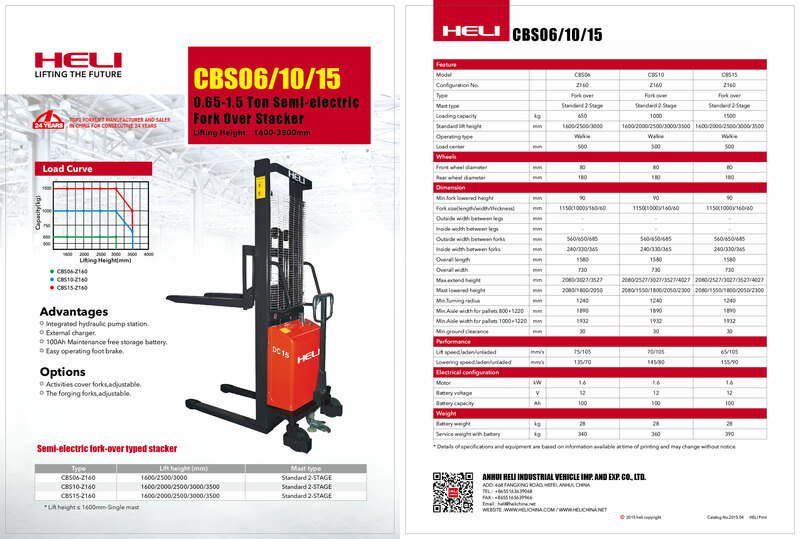 Its strong climbing ability allows faster lifting and lowering of pallets. The smaller turning radius allows it to work in narrow spaces. This compact semi electric pallet stacker is best suited for warehousing, logistics, foods, chemicals, paints, beverages, mineral water, oil & gas, fruits & vegetable industries and businesses.